Favorite WOD: So, my favorite benchmark WOD would be Diane (21-15-9) of 225lb deadlifts and handstand push-ups. I like that rep scheme and both of those movements. I also really like the filthy fifty WOD, well at least I think I do at this moment. If I did it tomorrow I might have a different opinion. Least Favorite WOD: Pretty much any WOD with running is moving towards the bottom of the totem pole. I really want to like running, but I just don’t. I am not super fond of box jumps either, so Kelly with five rounds of 400-meter run, 30 box jumps, and 30 wall ball shots might be a rest day………. 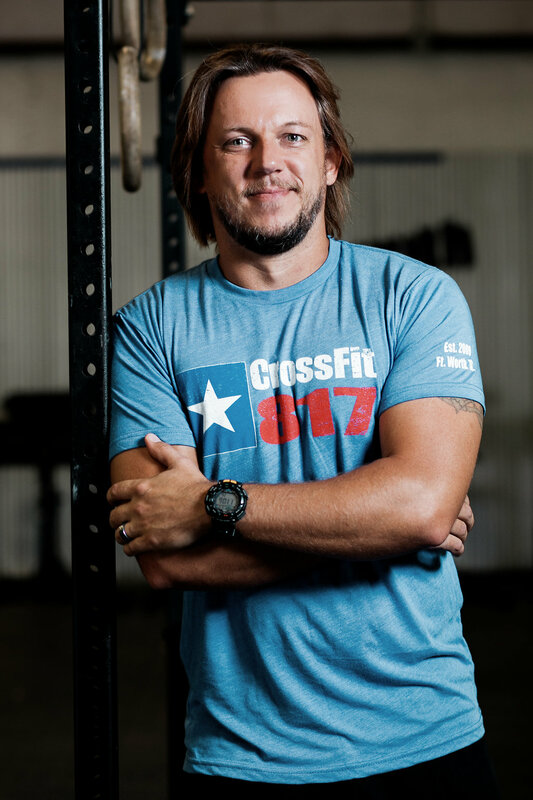 Time with CrossFit: I have been involved with CrossFit for over two years and I was one of those people that fell in love with it and told everyone about it. I wish that I would have gotten involved sooner. I’ve never been much of a gym junky, but I have always liked fitness and physical activity. I was heavily involved in martial arts for many years of my life and taught Tae Kwon Do for a few years in my mid 20’s. I am graduating in December 2016 with a BS in Kinesiology and starting a Master’s program in Exercise Physiology the following semester. What is CrossFit to me: CrossFit to me is a bunch of like-minded people who form a family and encourage one another, and who bust their butts and push harder than the average joe in achieving their fitness aspirations. Favorite WOD music: Hmmmmm, I am not too particular I guess. I just like it to be up tempo and LOUD. I can’t stand working out in silence.